I am Casper van Heerden and qualified in November 2010 from Onderstepoort. I subsequently started in a position in Kokstad as an assistant veterinarian, and enjoyed it thoroughly thanks to my colleagues that supported me with their great base of experience, and they deserve recognition and thanks. On the 22nd of April 2011 I was casually doing horse riding with a few friends in the green mountains close to Matatiele, where I was involved in a serious horse riding accident. I sustained a Traumatic brain injury (TBI) in addition to 4 thoracic compression fractures. On the 3rd of May 2011 when I was discharged from St Anne’s Hospital in Pietermaritsburg I was not aware of the road ahead to recover fully as a practising veterinarian. The purpose of this letter is to express my sincere, deepest and most humble gratitude and thanks for the organisations, companies, colleagues and personal friends that supported me for the following 13 months after 22 April 2011. In August 2011 my thoracic brace I wore as a result of the thoracic compression fractures came off and I had to start with weekly occupational therapy after Diffuse Axonal Injury was diagnosed by my treating neurologist. In August 2011 when I started with occupational therapy, I struggled to play an elementary game like Monopoly as a result of the TBI. Imagine being a veterinarian not being able to play Monopoly, it is quite humbling to say the least. In October 2011 I was assisted with my rehabilitation process by a practice in Springs, where I progressively and slowly improved. In May 2012 I was ready to start working again as an independent veterinary surgeon. VetProtect assisted me in obtaining Medical Malpractice cover for me to start consulting and complete the next level of my cognitive rehabilitation therapy. VetProtect has therefore played an integral part in my rehabilitation process to progress with cognitive rehabilitation therapy and therefore become an independent veterinary surgeon again. For this specific company, I want to say that a friend in need is a friend indeed. And I have come to realise the significance of this often misrepresented proverb taking into consideration what this company has meant for me in a time of need. I want to urge all of you that have not got this safe guard in place, to do this urgently, because life is what happens to you while you are making other plans, and then you need professional support like VetProtect. And life happened to me. 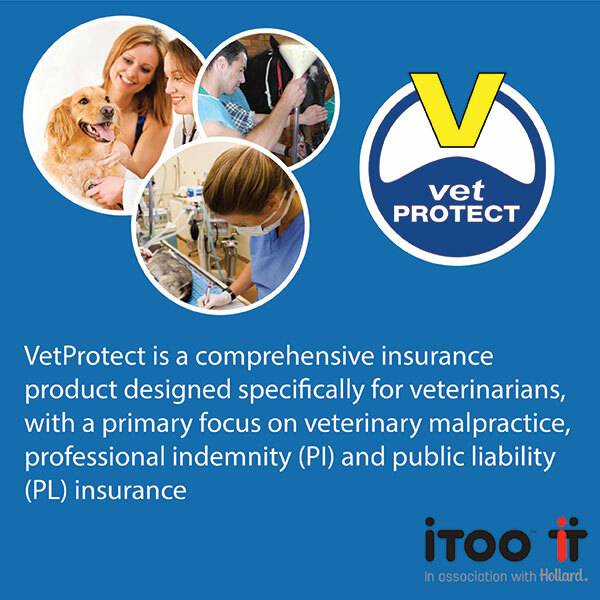 I want to again thank VetProtect for their professional support, and I advise all of you to contact them for any questions relating to their professional service and products they have available. In addition, I want to give thanks to my Lord Jesus Christ, my family and personal friends, as well as my senior colleagues for their support, encouragement and guidance on my path of rehabilitation that was 13 months long. In no particular order: Drs D Clowes, C Macfarlane, T Haigh, Dr. CJ van Niekerk, Dr. R du Preez, Dr. J Viljoen, Prof A Leisewitz, Prof RM Kirberger, Dr OLM Nel. Currently, I am working in a small animal practice in Boksburg, and enjoying the privilege of being a professional veterinarian proud of my profession and my colleagues. If anyone reading this letter has any questions, please do not hesitate to contact me if I can be of any assistance or support and I am willing to try and answer any questions relating to my story. You can get in contact with Dr van Heerdern via Leonie Delgado at vetprotect@myownbroker.co.za.